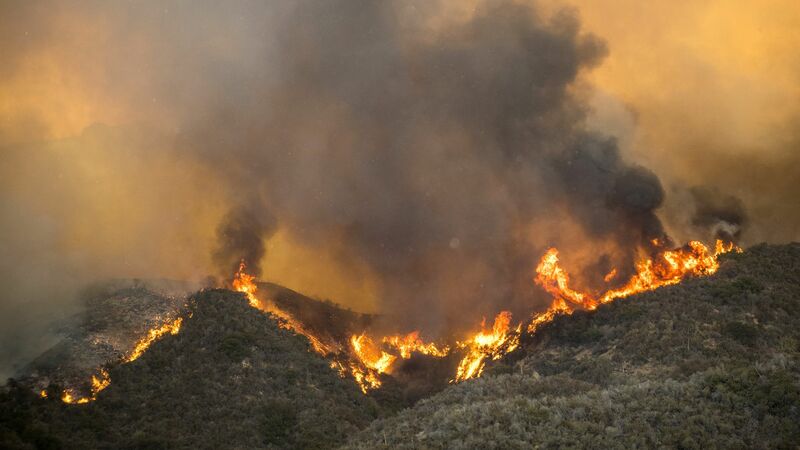 The man accused of starting the Holy Fire, Forrest Gordon Clark, texted the Holy Jim Volunteer Fire Department chief two weeks ago saying, "The place is going to burn," CNN reports, citing remarks from the fire chief. The big picture: The fire in Southern California forced 20,000 residents to evacuate, according to CNN. Chief Mike Milligan said he's been "trying for years to get someone to pay attention" to Clark, but "nobody has really had the opportunity to do that until now." Clark is being held on $1 million bail and was charged with "aggravated arson, arson of inhabited property, arson of forest, criminal threats, two counts of resisting and deterring an executive officer, and arson burning multiple structures." The fire is only 5% contained, and has destroyed over 10,000 acres. Quote"This shouldn't be called the Holy Jim Fire; this should be called the Holy Hell Fire."